This entry was posted on February 7, 2013 at 8:31 pm and is filed under The Light Keeper's Legacy. You can follow any responses to this entry through the RSS 2.0 feed. You can leave a response, or trackback from your own site. Congratulations!! I am so happy for you and I absolutely loved the first two in the Chloe Ellefson series. Yay! What a beautiful bag… goes so well with your beautiful — and well-deserved– award! 🙂 So glad your Chloe Ellefson series is getting the attention it deserves! The bag is beautiful, isn’t it? Thanks for the kind wishes! Your Chloe books are so delightful and beautifully written that it can not be a surprise that awards and accolades are making their way to you. I’m very happy for you! Arletta, you’re very kind. Thanks! 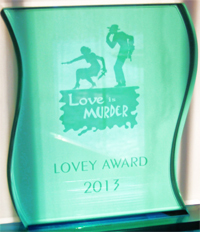 Conratulations on the LOVEY award! As an ex-Wisconsinite I have learned more about my home state, its people and history through the fun of your mysteries than I’d ever known before. Great job! Pamela, what a lovely compliment! Nothing makes me happier than hearing such thoughts from a reader. I hope the books continue to entertain and, perhaps, enlighten! Congratulations! As a great fan of Old World Wisconsin I became aware of your books and have become a great fan of Kathleen Ernst as well! Looking forward to the next Chloe Ellefson story and I hope there are many more to follow! Kathleen, so glad to connect with a fellow OWW fan. It’s a very special place, isn’t it? I plan to keep Chloe busy indefinitely! She may travel from time to time, but she’ll stay rooted at OWW. HI Kathleen! I am a retired Library Media Center teacher. Several of my students read your American Girls books and loved them. Recently my daughter found your latest Chloe Ellefson book and bought it as a gift for me. She saw the lighthouse on the cover and saw that it took place in Door County. I was so surprised to see that it was wriiten by an author I was familer with. I have purchased the other two books in the series. Thank you for bringing history alive. I loved reading about Old World Wisconsin, which I have visited and will visit again. Door County is a wonderful place also. PLEASE keep writing for children and encouraging girls, and please keep writing for us “older girls” too. By the way…the daughter I mentioned, She was part of the 20 person wildfire team from Illinois that helped fight fires in California last summer. She was the only female on the team. She wasn’t a smoke jumper, like Ethan, but she was on the line with the rest of her team. Thanks again! Hi Sue – I’m delighted to know that you enjoy my books for all readers. It’s a privilege to write for young readers–it’s wonderful to visit a library or school and see kids excited about history and reading, and often writing as well. I love sharing stories about smart and strong girls, like Caroline Abbott, and would love to think that in some small way they might help encourage young readers today. Writing the Chloe Ellefson series lets me shine a bit of lantern light on women’s stories in much the same way. I can’t imagine giving either project up! And please give your daughter a high-five from me. I took a fire management course in college, but never got out in the field. Good for her! 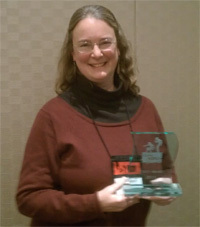 Congrats to you Kathleen! In all of your mysteries, I feel a connection to Chloe as she uses her excellent knowledge of the past and her “female intuition” to figure things out. 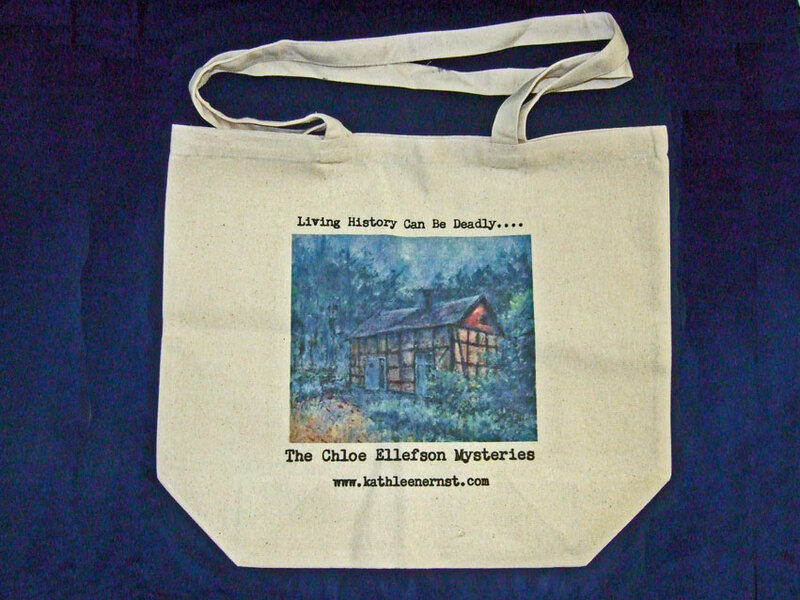 I love the way your mysteries weave the stories from the past with Chloe’s research/historical curator skills. In your books, I learn new things, appreciate the past and enjoy a good mystery! I love Old World Wisconsin and hope to travel to Door County soon to see this lighthouse in person! Susan, I’m so glad you’re enjoying the mysteries! I love exploring the themes you mention in each story, especially women’s stories and experiences. I’ve got lots of ideas, and so have lots of adventures still in mind for Chloe. I look forward to continuing with the series when OWM is done.